I’ll be in the San Francisco Bay Area this weekend for four workshops sponsored by Kala Ukulele. On Saturday join me at Gryphon Stringed Instruments in Palo Alto for Play Ukulele By Ear #1: Learning to Listen at 11am and #2: Chord Progressions & The Circle of 5ths beginning at 12:30pm. For details click on the Gryphon link. Gryphon always has a lot of great ukuleles on their walls. It’s always a treat to visit. At 5:30, I’ll be at Music Village in San Jose for a Play Ukulele By Ear #1 workshop. 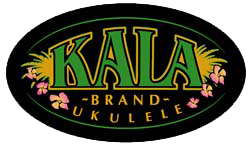 You’ll have a chance to win a Kala ukulele right after the workshop. Finally on Sunday I’ll be presenting Play Ukulele By Ear #1 for the Napa Valley Flea Jumpers in Napa as a warm-up for the upcoming Wine Country Ukulele Festival in September. Hope to see many old friends, and lots of new ones, this weekend!